I love sesami, so there’s no problem ! 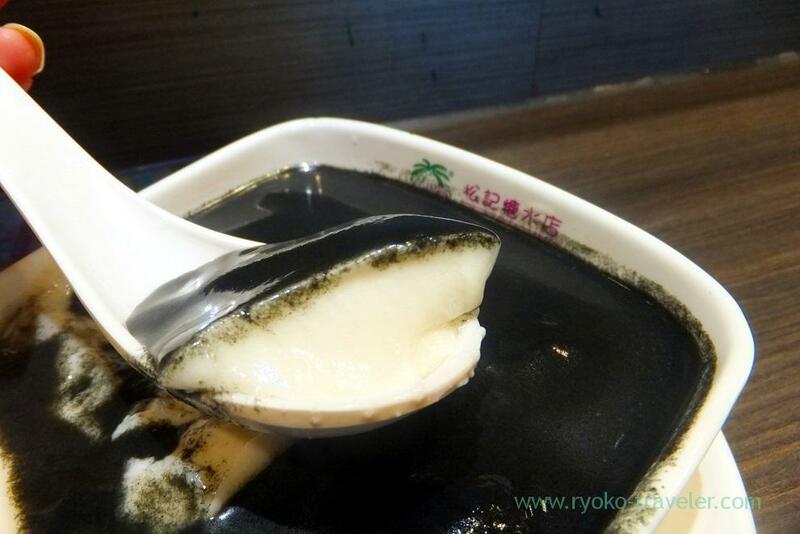 After I ate wonton noodles, I ate soy milk pudding at dessert shop just close to the noodles shop. I found this shop on the guidebook and some of people who visited there said it’s good shop on the websites. 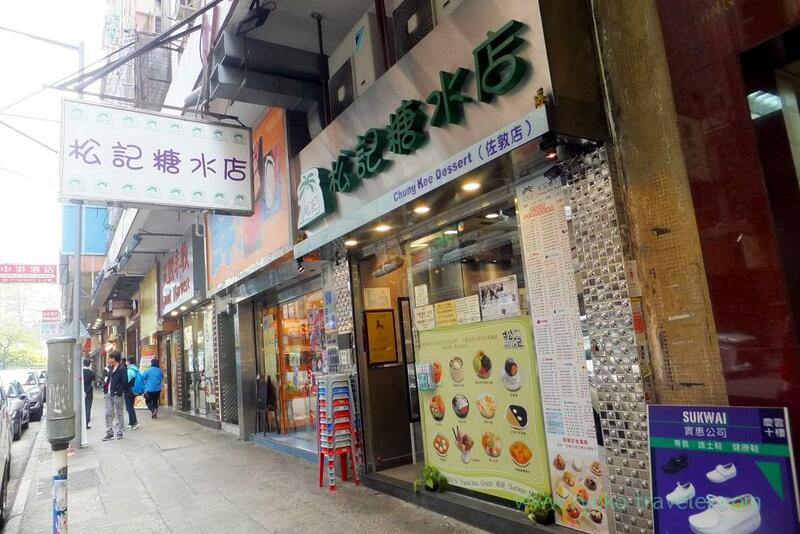 I heard Chung Kee Dessert is popular dessert shop in Hong Kong and they have many branches. 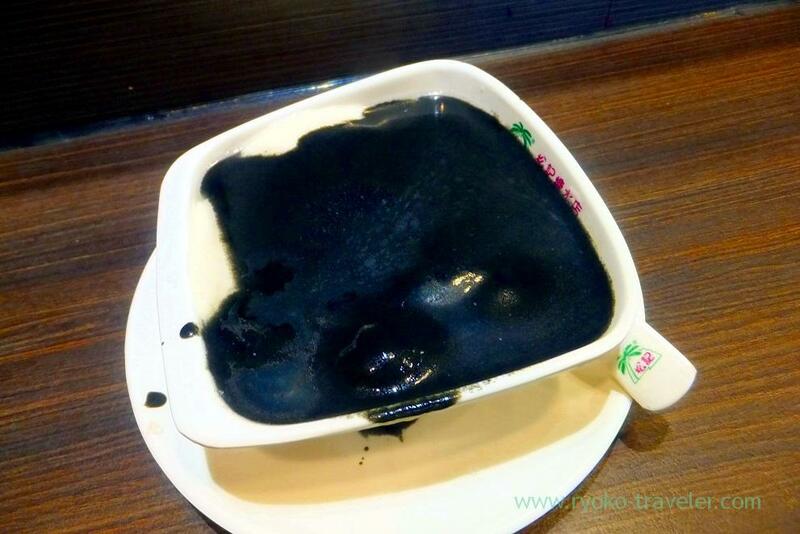 I ordered Soy milk pudding with black sesami sauce (芝麻糊豆腐花, 29 HKD). Oh my, I mistook the choice for the blog because of its color. But my choice was right in its taste. It had rich sesami tastes and it was tasty. The pudding is so soft. 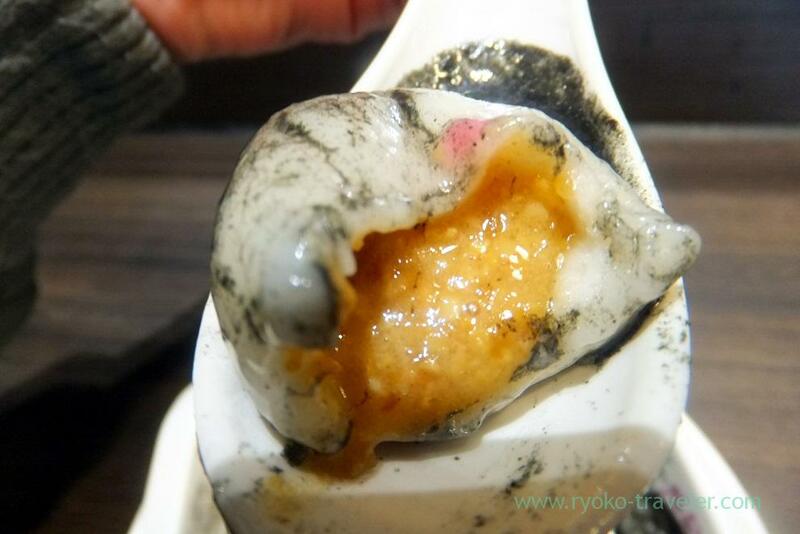 We can choose two small rice flower dumplings from some flavors. I chose black sesami and peanuts. Somehow the staff confirmed several times. I didn’t understand at first. But I realized why she confirmed again and again. And another, I chose peanuts. Though it was small, it had thick peanuts sauce and it had abundant flavor of peanuts. A woman next to me ordered two soy milk puddings, and I thought I should have done, too. 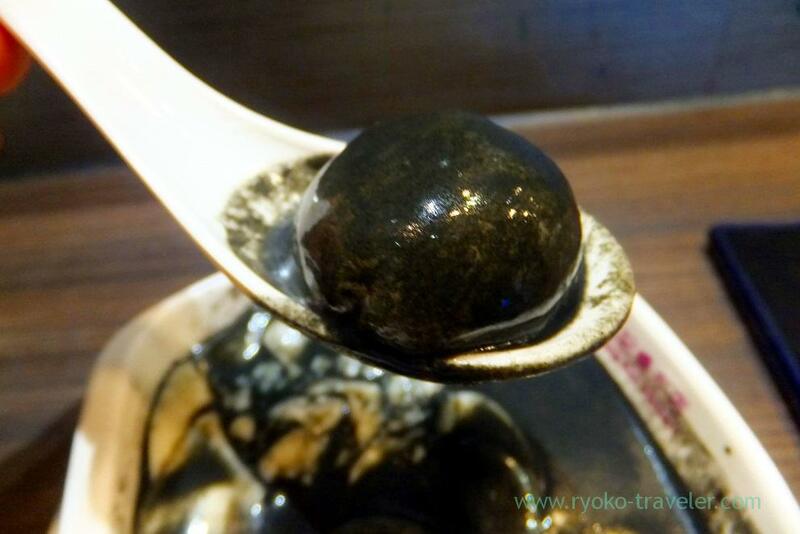 The soy milk pudding went down so smoothly, so I could eat more !